Discover our range of smaller compressors ideal for DIY jobs. Our wide range of compressors are preferred by many tradies. Discover our large, powerful range of 3 phase compressors. 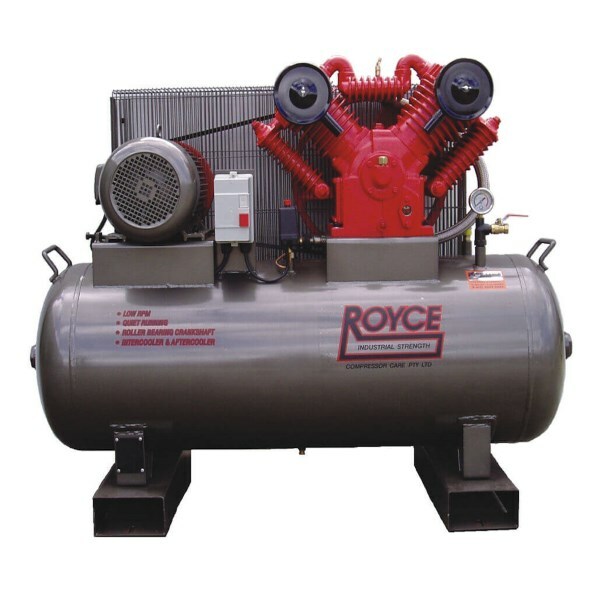 Compressor Care is the home of Royce, quality industrial strength air compressors. We stock a full range from portable 240V units through to large three-phase units, petrol and diesel, as well as high volume screw compressors. Whether operating a commercial business or just restoring that old car, Compressor Care has you covered with over 30 years’ experience in air compressor Brisbane. We also service all brands or air compressors in our workshop or on-site. We are humans who sell and maintain air compressors. Some days the air compressors work for us, and some days we work for the compressors. That’s the ebb and flow of the compressor industry. 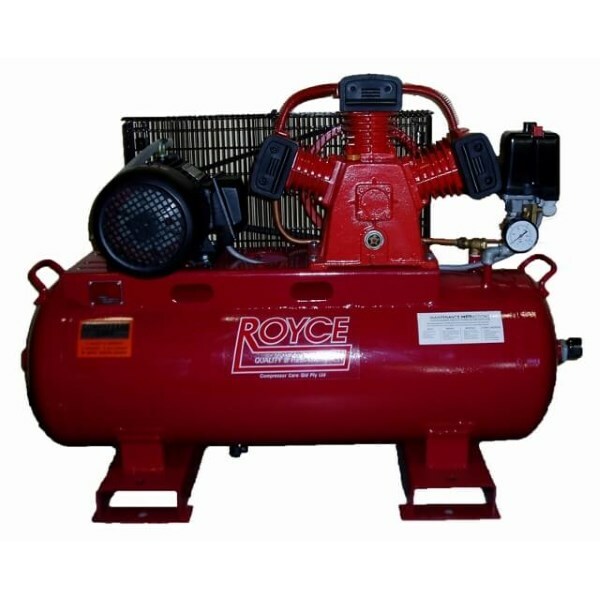 We’re known for providing quality air compressors at great prices for years. When you order an air compressor for sale at Compressor Care, you will receive great advice, prompt service, and comprehensive support from our Brisbane headquarter. Call us at 07 3205 2599 for advice for your air compressor needs. 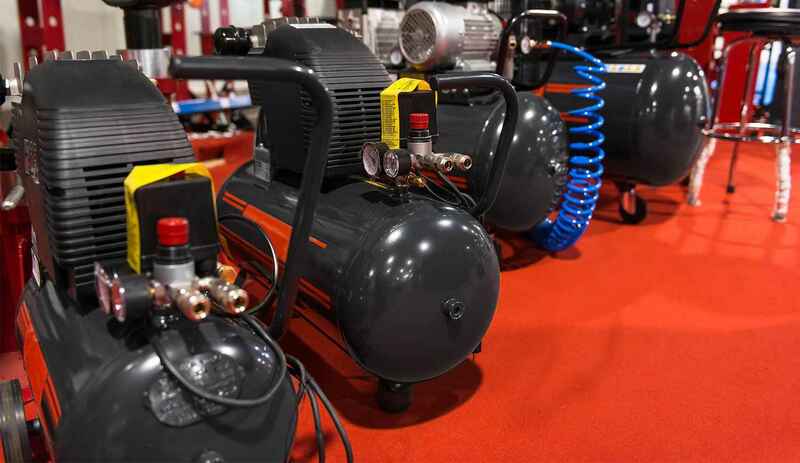 Whether you’re a home handyman, tradie, medical practitioner, tattoo artist or agricultural industry professional, over 30 years of Brisbane experience helps us know what types of air compressors you need. Our range of three phase air compressor units will suit any job, large or small. Our single phase compressors is suitable for home use or tradie such as tattoo studios, while petrol and diesel compressor lines can be found in farm & mining projects. 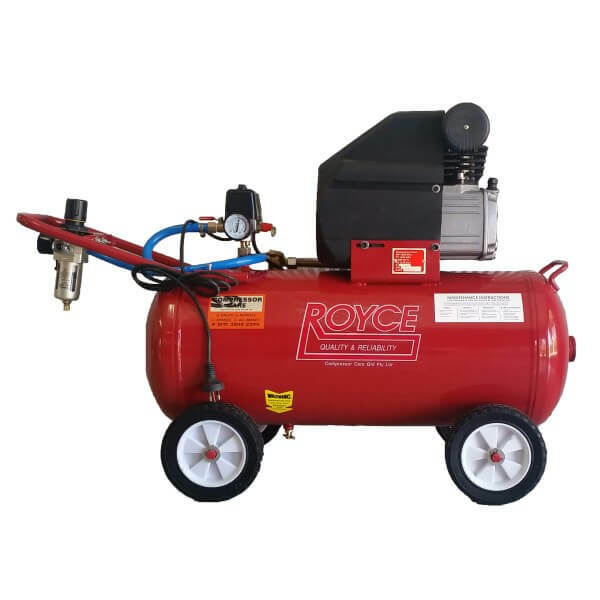 Royce Refrigerated Air Dryers are one of the very few types of Air dryers on the Australian market today which have an integrated built-in after cooler unit. We have a range of filtration for use with small units up to larger units to take out contaminants like oil/dirt and water. Compressor Care is the home of a huge range of air compressor parts to suit your spare part needs. Offering all types of fittings, as well as two and three way couplings, we know which product will help keep your unit working smoothly. 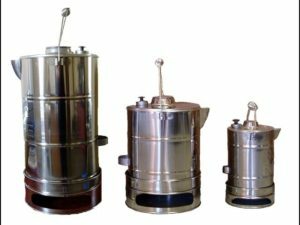 We have 3 great sizes in our Royce Rimfire Bush Kettle range for all your outdoor/camping hot water requirements. Air Compressors, Three Phase (415 Volt). 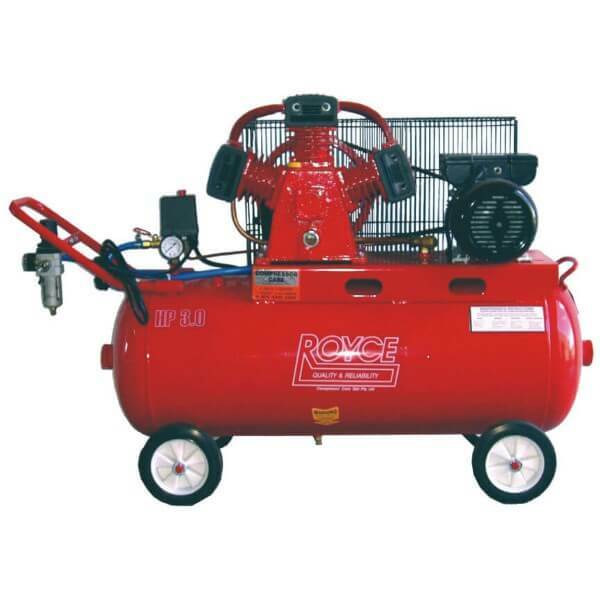 Air Compressors, Single Phase (240 Volt/10amp & 15amp).